When the obvious space port entry in Antarctica was discovered on Google Earth images in October, 2012, we confirmed that Antarctica had been used as a space port for space ships. Our emphatic statement was that early man had never lived on Antarctica, nor were these space ports anything man (such as Admiral Byrd or the NAZI) had utilized. But what about the Annunaki? The Annunaki did not use the space ports, as they did not possess space ships with the capacity to manipulate gravity. But they did explore Antarctica for Gold, as they did the rest of the Earth and Mars. They marked likely spots so their rocket ships could land with supplies. Antarctica was never a Gold rich site, and beyond exploratory probes, did not develop into a mining settlement. It is being reported around the web that well-known Disclosure guru, Stephen Greer, that long-time puppet of the Establishment, who wants to get the truth out to Joe Public, but is kept on a leash by his Coverup proponent handlers, is in possession of the former tiny body of an extraterrestrial entity. Allegedly given to Greer in South America two years ago, the six inch long purported body is apparently being, or has been, subjected to various inspections at some secret facility, all to be revealed “soon”. Images have been uploaded to youtube by user “goforitrandy". http://www.youtube.com/watch?v=fIeXHVBejdE Also reported @gather.com Given Dr Greer’s history as a manipulated source, and the fact that they gave him cancer last time he broke his leash, one must cast a sceptical eye toward anything he puts forward. Would the Z care to reveal whether or not this is all legit? [and from another] http://news.gather.com/viewArticle.action?articleId=281474981842447 Details about the find are vague, other than to point out the project is being led by Dr Steven Greer, a renowned UFO hunter and supporter of many provocative extraterrestrial theories. [and from another] http://www.youtube.com/watch?v=J5ZrmAXkHmw Two years ago Dr. Steven Greer hopped on a plane and flew to the Atacama Desert in South America where he was the 3rd person to hold a very special extraterrestrial being in his hands.X-Rays have been taken that are astonishing ! This extraterrestrial is about 6 inches tall and believed to be 5 to 7 years old. This extraterrestrial looking being is currently being tested to determine once and for all the validity of this alien looking being. Is there any validity to the story about a tiny extra-terrestrial collected from the Atacama Desert? This is a hoax, which will never be proven or disproven, by design. What is the point? Greer is a puppet of the establishment, he and his assistant simultaneously given a type of implanted cancer in the past to emphasize that he should do what the CIA requested of him. So Greer should be considered a mouthpiece of the establishment, an unhesitating and highly cooperative mouthpiece. What is the point of claiming he has access to a tiny alien body? 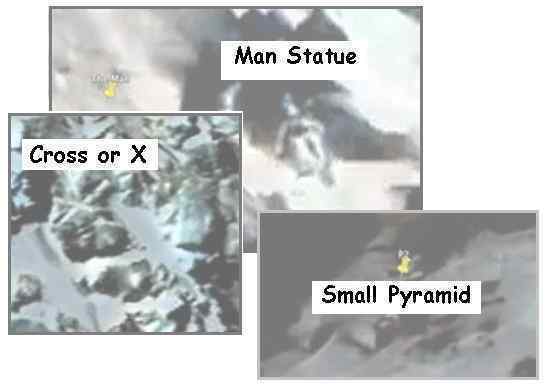 This is a test, by the CIA, as to how the public reacts to such news, as they know that eventually the truth about Roswell and the real alien body they have in their possession will be exposed. 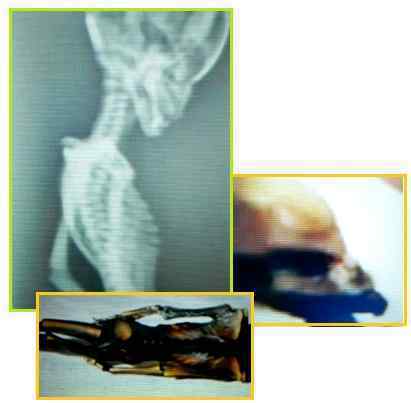 To this end Greer’s alien is supposedly tiny, like a doll – nonthreatening, supposedly. This is an attempt to re-establish Greer as a leader in the UFO field. He leads groups into the woods and claims they can “call down a ship” but his mystique in this regard has never captured the public’s imagination. He is not believable. It is an attempt by the CIA to control public opinion, by controlling the person considered the leader. Unfortunately for them, Greer is not considered a leader, nor will this latest stunt make him one. The Zeta have previously revealed to Humankind that the Council of Worlds had decided to allow mitigation, using means such as “humming boxes”, and likely other measures, undisclosed, of the severity of the Earth changes which would otherwise have been elicited in this planet, as symptoms of 7-of-10 plate movement, sans that benevolent ET intervention authorized by the CoW. Said mitigation allowed so that the Common Man is more able to make spiritual choices etc. ZT also relayed that the overall timeline, leading up to the Pole Shift, will not change. http://www.zetatalk.com/7of10/7of10108.htm There have been periodic updates from the Z, keeping fans in the loop, though things really do seem to have picked up in recent times. Many feel a change is in the air. Is there any more the Zeta would care, or are permitted, to reveal to inquisitive and anxious fans, and others, regarding this? Perchance another update? Given the recent uptick in volcanism, plate-movement effects such as sinkholes and huge cracks etc, EQ’s, ocean buoy events reporting anomalous rising or dropping of the water-column etc etc, also Wobble effects such as wild swinging and apparent blending of weather conditions worldwide, including unprecedented hurricane and cyclone behavior, the list goes on. Not to mention increased visibility of the PX corpus itself, and company. Evidence also periodically surfacing of a looming Venus and DT, vital clues to the approaching 8. http://zetatalk.com/ning/01de2012.htm Can we anticipate a sudden move to an 8 of 10, the 7 seemingly skipped, so to speak, i.e., are we close to an 8-of-10? We stated two years ago that the 7 of 10 and 8 of 10 would overlap, due to the delays in arranging an announcement by Obama that Nibiru, aka Planet X was indeed in the vicinity and causing the current Earth changes, the earthquakes and volcanic uptick, the Earth wobble, and eventually the approaching passage. We stated that those aspects of the 7 of 10 that would result from rapid plate movements – specifically the European tsunami – would be mitigated to occur more slowly. The European tsunami is a factor of a rip in the North Atlantic Rift, and when occurring slowly would result in less water rebounding, and a smaller tsunami height as a consequence. But beyond this, how has, and how will the mitigated 7 of 10 plate movements affected the other scenarios? We stated that the 7 of 10 plate movements would complete before the 8 of 10 scenarios would flower fully, and that the 8 of 10 is a long and oppressive phase, not over quickly within months. During the 8 of 10, mankind will be aware of the pending passage, whether there is an announcement by NASA and Obama or not. We have described an increased visibility of Planet X, aka Nibiru and its components during the 8 of 10. But has this not already arrived to some degree? One can scarcely go on YouTube without being flooded by videos of Nibiru, aka Planet X and its Moon Swirls. For the 8 of 10, as it progresses, Planet X will be positioned more to the right in the line of sight, so that sunlight will bounce off the dust cloud clinging to and thus shrouding Planet X, supporting dramatic Second Sun sightings on a daily basis, worldwide. During the 8 of 10, the Earth wobble will become so extreme, on a daily basis, that none can deny it. The wobble has already reached the point where it has pushed the weather into drought and deluge, severe storms and high winds, and temperature swings. The Global Warming excuse has failed to cover this, and the populace seeks an answer which only an admission on the near presence of Planet X can provide. But the wobble has not yet reached the point it will during the 8 of 10, when the Sun will be so out of place that none can deny it. Nor has a continuous blending of the seasons occurred as yet, though such blending is already occurring briefly and sporadically on occasion. We stated that during the Last Weeks, Venus and the Dark Twin would escape the cup, allowing Planet X and the Earth to engage in their final wrestling moves. But what will occur prior to this point? Already Venus and the Dark Twin loom close on occasion, appearing as the monster persona with ballooning light rays and puzzling those who see this. These instances will increase, added to the certainly that Planet X, aka Nibiru, is indeed nearby. NASA will throw a frantic public onto Nancy and ourselves to explain the Repulsion Force when their explanations on planetary body motions fail. How do they know that Venus and the Dark Twin won’t crash into the Earth? Because the Zetas say so, will be their implicit answer. Where we are currently waiting for the 7 of 10 plate movements to complete, the stress on the plates is apparent. The sinking of the Sunda Plate and the folding of the Philippine and Mariana plates is approximately 70% complete, but the final moves will occur in conjunction with further progress on the S American roll. Though the cover-up has found it necessary to kill almost all the buoys on the Nazca and Cocos plates, the S American roll has barely begun, perhaps 13% of the overall changes expected. And the African roll is barely twitching, at present, perhaps 5% into the process. The chaos that has already been experienced is thus only a hint of what is to come. The N American continent is under tension so great that the Salt Dome caverns along the Gulf are fracturing, but the changes here likewise have not truly started. The US will be devastated, even with the New Madrid adjustment stretched out and moving slowly. If these 7 of 10 plate movements are devastating, what will occur after these have completed, during the 8 of 10? We have at most hinted at what will occur, holding further descriptions hostage as we are looking for cooperation from the Puppet Master on media coverage for Nancy and our message, as we have stated so many times. We also feel the populace is not ready to contemplate our descriptions until they are aware of the big picture, and seriously listening to our words. Continuous plate movement in some areas will occur, along with a changed relationship of the continents to one another. The predicted explosions in Iraq as the oil fields are ruptured will also only occur during the 8 of 10 phase. But the major 8 of 10 scenarios will be sociological, with riots and rebellion on the increase as food shortages increase and people realize the impact the Pole Shift will have on their lives. Families will be ripped apart by argument as those in denial refuse to budge and those determined to survive set their plans. Migration of desperate peoples affecting every country in some way will occur in the extreme, dominating the UN agenda and slamming borders shut. There is room on the planet to shelter all, though most may starve eventually due to food shortages. All this is the spiritual opportunity provided by the time of the passage, on Planet Earth.